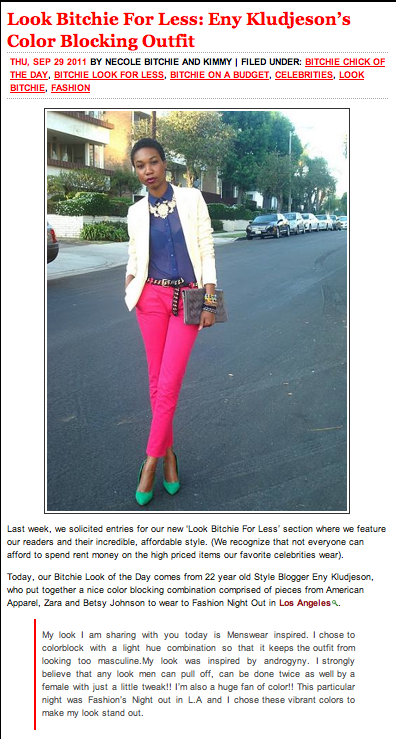 My menswear look for Fashion Night Out was featured on necole bitchie for affordable style. Omg!!!! I love the outfit!! !Not that i haven't seen it on here before. But to have it published, you go girl. Haha!! I know right?? Tell me about it! Thanks for the support love, i really appreciate it!! :Dxoxo! !